Arc’teryx is an outdoor and sporting goods company, known for its high quality clothing and accessories. With Big Apple Buddy’s personal shopping service, you can now buy direct from the Arc’teryx online store anytime, anywhere. Here, you can shop from some of the best jackets on the market, that are designed to keep you safe and comfortable during any outdoor adventures. The Men’s Theta SVX Jacket is a jacket designed to be worn in severe storms. This waterproof jacket is the toughest one that Arc’teryx has to offer, and it is guaranteed to keep you dry and comfortable even in the most severe of storms. 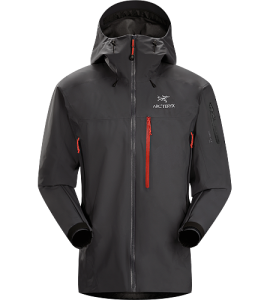 The jacket also features extra GORE-TEX fabric that protects the face, which makes it an ideal piece to wear out on the mountain. Arc’teryx also offers plenty of footwear options for both men and women that will help you have a longer, safer trek in the outdoors. 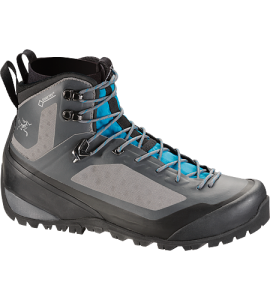 The Women’s Bora Mid GTX Hiking Boot is a technical boot with enough versatility for extended trips through varied terrains and conditions. The stretch GORE-TEX liner provides both waterproof and breathable protection for when you find yourself in wet, rainy conditions. In addition to providing waterproof protection, the liners on the inside of the boot will help cushion impact for those tougher terrains. The Chilcotin 20 Backpack will help keep all of your belongings safe and contained. This backpack will last you through any outdoor hike, and it comes with a 20 litre hydration pack so that you can make sure you’re always hydrated. With multiple pockets on the interior and exterior, this backpack is big enough to carry all of your food, water, clothing, and any other necessary items. 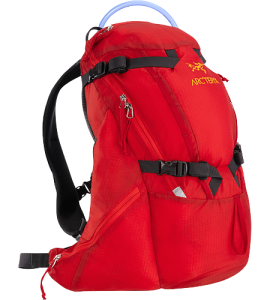 This pack is ideal for long day hikes and extended mountain bike rides. Unfortunately, the USA Arc’teryx online store does not currently offer international shipping. However, Big Apple Buddy, your personal shopper, can help you buy products direct from the official USA Arc’teryx online store and ship them to your doorstep, no matter where you are in the world. If you would like to buy from the USA Arc’teryx online store, simply let us know which items you would like to order (by filling out the form below) and we’ll get back to you with a free international shipping quote within 24 hours!